Duct-taped holes in down jackets, busted-out toes in hiking boots, crampon-slashed pant cuffs—wear and tear can feel like a badge of honor in its own small way, a testament to the good times had and hard work done. It’s a sign that the gear was the perfect companion for all kinds of adventures, good enough to use over and over and over. Damage just happens when you play hard, like holes in the knees of your jeans as a kid. The thing is, we don’t all have an extra $400 laying around to replace our Arc’teryx rain jacket when we bust a seam. Arc’teryx doesn’t want you to have to shell it out, either. That’s why they–and plenty of other outdoor brands–have either a full or limited lifetime warranty. It may sound like a marketing ploy when you see it on a website, but the warranties offered by the companies below mean they’ll help you–for free or for a small charge–keep your gear in top condition as long as you can play outside in it. Before you send in your gear, a few things to remember: The brand decides whether that rip in your pants came from “normal” wear-and-tear, misuse, or a manufacturing defect, and the definition of “lifetime” varies. Most brands agree that it doesn’t mean your lifetime, but the expected lifetime of a product. Just a few companies promise their gear will serve you until you’re old and gray. It’s up to them to decide whether you get a brand-new sleeping bag/tent/water bottle in the mail, so be honest and considerate when returning gear for warranty. Send it in clean. And if you’re not sure you’re covered? Just try. The people behind these brands play hard, too. They get it. We’ve heard countless stories of unexpected, unbelievably great customer service. Osprey sets the gold standard for warranties, providing replacement parts, doing repairs, and, when necessary, replacing gear, no questions asked. L.L. Bean leaves it to the customer to decide whether their product didn’t stand up to expectations, and offers refunds or replacements for defective, worn-out, hard-worked gear, no matter when it was purchased. Outdoor Research has a similarly limitless guarantee–called the “Infinite Guarantee”–that provides for replacement anytime your gear doesn’t perform like it should. Darn Tough Socks, the coolest sock company in Vermont, dares you to wear out their socks, or find a pair that doesn’t serve you exactly how you need. If you do, they’ll replace them, free of charge. Zippo’s guarantee is simple: your lighter works or they fix it, free. Jansport doesn’t tiptoe around “normal wear-and-tear”–that’s what their guarantee protects you from. If they can’t fix it, they’ll replace it. Black Diamond promises “No charge. No fine print. No debate. Guaranteed.” when it comes to softgoods warranties, and has a limited warranty on hard-goods. Eddie Bauer keeps it simple, happily refunding any unsatisfied customer the cost of their gear. Duluth Trading Company does the same, making refunds available for customers for any reason, at any time. Victorinoix Swiss Army Knives guarantee their knives will function for a lifetime, and will repair or replace any defective tools outside of normal wear-and-tear. Patagonia‘s Ironclad Guarantee promises 100 percent customer satisfaction, and if, for any reason, the gear isn’t up-to-par, they’ll replace, repair, or refund it for free. They also offer mending from normal wear-and-tear for a small fee. Not loving something like you used to? They’ll buy back your gently used Patagonia gear in exchange for store credit and resell it on WornWear.com. Kryptonite guarantees their bike locks for life, including normal wear-and-tear. Tilley Hats guarantees select hats for life, and will repair or replace them if they wear out due to normal wear and tear, poor workmanship, or faulty material. Stanley thermoses are also under lifetime warranty—even, according to their site, the one your grandpa totes around. Cotopaxi guarantees their gear for 61 years, the average lifetime of a person in the developing world, under their Gear for Good warranty. Filson covers their products for the expected lifetime of the item. Sunski has an awesome warranty that includes free repairs of frames and inexpensive (we’re talking $5) replacement lenses. Red Oxx’s no bull warranty includes repairs and replacements for any unexpected damage to one of their bags, for life. Leupold has a no-strings attached lifetime warranty—they’ll take care of any damage to one of their products, no matter what. Stormy Kromer guarantees their American-made hats for life. Eagle Creek’s No Matter What guarantee ensures your bags will be in great shape for the lifetime of the product. Camelbak will repair or replace your gear—all bags, reservoirs, and accessories included—when it fails, as long as you take care of it properly. Therm-a-Rest offers a limited lifetime warranty for manufacturing and material defects and promises to repair non-warranty damage whenever possible for a small fee. Gore-Tex guarantees they’ll keep you dry, and if any product made with their fabric doesn’t perform to your satisfaction, they’ll replace it, repair it, or refund you. Big Agnes covers defects for a lifetime, and if they deem your damage due to “normal wear-and-tear” they’ve still got you covered, for a small fee. Arc’teryx readily covers defects in materials or workmanship, and will repair well-loved gear for a small fee. The North Face offers a similar promise, repairing or replacing gear for free that failed due to manufacturing error. Normal wear-and-tear will be repaired for a small fee. Kelty has your back if your tent or pack has a manufacturing error–which is more common in products with lots of zippers, buckles, and straps. REI gives you a year to return any product you’re not satisfied with–even if they’ve been used (I once put in a 26-mile day on a pair of trail runners that destroyed my feet. They took them back, dust and all, no questions asked.) Manufacturing defects they cover for a lifetime. Dakine will repair or replace defective gear for free, though they keep a close eye on the damage to ensure it’s not due to the customer’s use, but manufacturing. OnSight, a Canadian brand that uses recycled plastics to make bags, offers a limited lifetime warranty against design, manufacturing, and material defects. Granite Gear‘s Rock Solid Warranty guarantees their products for the lifetime of the product—but note that anything with wheels has a lifespan of five years. Smith Optics covers defect or malfunction for the lifetime of their product. Mountain Hardwear does the same. Suncloud Optics warranties against defects and will repair damages for a small fee. Wilderness Systems offers a limited lifetime warranty against hull damage in their kayaks. Marmot warranties against manufacturing defects and will repair wear-and-tear for a small fee. Did we miss someone? Let us know! Wilderness Systems has a limited lifetime warranty on their kayaks. Too bad EMS has fallen off this list. Mountain Hardware is pretty bad about covering a defect. They might as well not have a warranty. I returned a lightly used Gore-Tex membrane jacket that had seriously delaminated. Mtn Hardware said it was caused by skin oils on the jacket. I wonder if they expected me not to wear it. Gore Tex them selves would have covered it but when I pointed that out to mh they said “tough luck. I’ll buy anything before I buy another Mountain Don’tWear. Red Oxx also offers a lifetime, no questions asked warranty on their bags. Plus, the quality is A+ in my opinion. Leupold, known primarily for their optics like rifle scopes and binoculars, also offers a lifetime, no questions asked warranty. Leupold’s is beautiful because it is for the product, not the purchaser, and it does not require any proof of purchase or warranty card. Just send it in, and they fix it. Thanks for the heads up—we’ve added Red Oxx and Leupold. Marmot treated me really well last year. I had rainfly with seams that had de-laminated after about 5 years of use. I just inquired about getting them to repair it (wasn’t even angling for a new tent) and they voluntarily gave me a store credit for more than I originally paid for the tent after I sent it in for inspection. It was a very easy process which I appreciated. Sadly, REI did not treat my nephew the same when he had a similar issue on a much newer tent. They called it “wear and tear” and told him he was SOL. That was disappointing and made me think twice about ever purchasing REI gear. I added Marmot in—glad to hear they took care of you. And a bummer about REI! I’ve always had good experiences with them. Nat true about LL.Bean. I had an umbrella, from the 1970s. It broke-th fame, and it leaked. I took the tent to the store, and was told they no longer had that policy. I can’t find the source where I read it (it may actually have been on a podcast) but LL Bean has gone back and forth on this over the years. IIRC currently they’re back to pretty much no questions asked, but the agent doing the returning might have some amount of discretion if it’s obvious the individual is attempting to abuse the system (this might not be true anymore). I suspect you mean This American Life, July 15, 2016. It’s episode 591: “Get Your Money’s Worth.” You can read the transcript at https://www.thisamericanlife.org/radio-archives/episode/591/transcript. Can”t believe you left out Filson. Bomb proof gear and best Lifetime Warranty I’ve ever seen. Added them! Thanks for the heads up. suncloud optics also offers a lifetime warranty. Osprey did not replace a pack of there’s that was de-laminated. A really frustrating experience. I forgot to mention it in my first comment, and I’m not sure if its applicable to this article, but Borla Exhaust offers a One Million Mile Warranty for their exhaust systems. The warranty covers their defects and failures due to their defects. They sent me a kit with a muffler that had broken baffles, and they sent me a new one once a shop verified the defect. I saw another comment on Mtn. Hardwear, but I had an opposite experience for the better. I had a zipper break and a sleeve rip on a Mtn. Hardwear jacket. I called customer service and they said to send it back. They gave me the option for a repair or a full brand new replace. I opted for the replace since the jacket was a bit worn in other areas and they sent me a brand new jacket of a similar model since the old one was discontinued. Very happy with their service and support. I am glad they took care of you, but you might just have been “lucky”. Do you know if that was before Columbia bought them? They used to make an awesome product. My jacket looked brand new short of the Gore lining. They blew it off twice- every time I see the letter they sent it winds me up. As far as I am concerned they are in the AVOID these BOZOs category. There are so many good brands out there, why risk it? Rainy Pass Repair, Inc. They are awesome and they will also give a third-party opinion as to whether or not the damage should be covered under warranty. Unfortunately, i had a bad experience with REI’s warranty – one of their branded REI fleeces started unraveling down the sleeve after about 5 years, I was told that wasn’t a manufacturing error and they couldn’t do anything about it. Great experiences with Big Agnes and TNF replacing/refunding very well worn sleeping pad and pack, respectively. Here at Stormy Kromer we guarantee all our caps for life. Adding you! Thanks for commenting. Eagle Creek has a mix of Lifetime and the No Matter What warranty! Columbia has a 1 year defect policy for shirts and pants, low ticket items. I had a pair of pants rip along the rear seam. No visible reason why. The pants were more than a year old so I didn’t press the issue except to ask their customer service why no repair policy or process. I was told I could send them in to be evaluated for a defect. No guarantee they would be replaced. I also had the option of throwing them into a Columbia recycle bin. My wife fixed them by hand. In the future we will only buy products from companies that have a repair police even if there is a wear and tear fee. 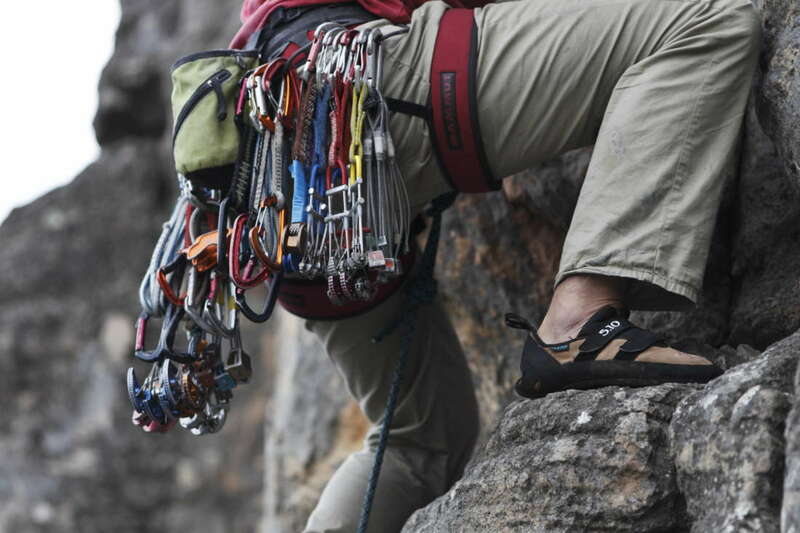 If not mentioned above, Columbia owns Mountain Hardware. Arc’teryx has gotten wayyyy stingier and rigid with their “warranty” in recent years. I’ve had good luck personally, but some other friends have been given the cold shoulder. Bummer dude! Eagle creek – can’t remember the fine print, but basicaly free repairs or replace if it’s not fixable. I’ve used it once and was very happy. My huge wheeled duffel had a broken spine and they fixed and sent it back for free. Royal Robbins has lifetime Billy Goat warranty and a repair option. Canyon Coolers has lifetime limited warranty. Yeti has 5 year limited warranty. Previous post apparently not accepted, but Columbia has 1 year limited warranty on shirts and pants. No repair option. Smith is already on the list, but would like to reiterate that they have replaced two pairs of sunglasses that were damaged at my fault; they were a pleasure to deal with. Also, Club Ride (bike apparel based in Idaho) have been awesome! Emailed them re: a broken clasp, looking for a replacement. A brand new pair of shorts arrived. Always refreshing to deal with companies that stand by their products. MEC – Mountain Equipment Coop – has a solid return/repair/replacement policy. You missed Mountain Hardware! Oh wait, you didn’t! Mountain Hardware missed me. When a seam on the fly of my two year old Mountain Hardware tent failed (badly), they were nice enough to tell me that there was a repair shop in the PNW that “might” be able to fix it… Though when they said it, it sounded alot more like, “We have your money so why don’t you piss off.” Lesson learned. I used to work at Eddie Bauer in college and we had some seriously gnarly stuff come back to the store! One guy brought in a pair of 30+ year old stained pants. Swapped out for a brand new pair, no questions asked. That was pretty rad! Arc’teryx replaced a jacket of mine that was 3-4 yrs old. Seam at the cuff came apart. No haasle at all. Love them. On the other hand, Sierra Designs shafted me on a down sleeping bag. Have never bought from Sierra Designs since. sierra designs did the same to me. not the same company it used to be i fear. I stay away from their gear now. Feral Mountain Co. in Denver offers a lifetime satisfaction guarantee on EVERYTHING they sell. All brands, all items, no questions asked. Icebreaker will provide an new pair of socks if theirs don’t last – lifetime warranty. TNF: a 5 year old VE25 tent that was used only a handful of time (car camping at best), and most of those times without the fly. The waterproof coating on the fly started to breakdown and become sticky, along with all the seams flaking apart. The main body of the tent is perfect, with no breakdown in waterproof coating nor any problems with the seams. Appears that there’s a problem with how the fly is manufactured. Sent in for warranty and they’re telling me it’s not covered, that it’s normal breakdown due to…. storage? Both pieces have been stored in a garage. We live outside the fog belt in SF; it’s warm and sunny on this side of town. And why would only the fly break down and not the tent body? As opposed to Patagonia or Marmot who takes their warranties seriously, TNF makes up excuses and is vague about what their guidelines actually are and won’t be pinned down, and hence give multitude of excuses why they won’t cover the manufacturing failures. Total BS; they don’t stand behind their products. Not the company it once was, and this is the last time I’m giving them my dollars.